November is, for us, pretty much the start of our winter schedule. Basically we start putting on weight due to inactivity, sloth, greed and over indulgence. The fire starts being kept in day and night and the prospect of cruising seems somehow less appealing. Leaves on the propeller are the first sign of real winter. Leaves fall in November, and lots fall in the canal. They find their way onto the prop and stick there (something to do with low pressure on the front of the prop). The boat then goes slower and slower until a brisk two seconds of reverse is applied, that shifts them and you start all over again. Then there are the crab apples. Millions fall off the trees and float around pinging the boat any time they get near the propeller. 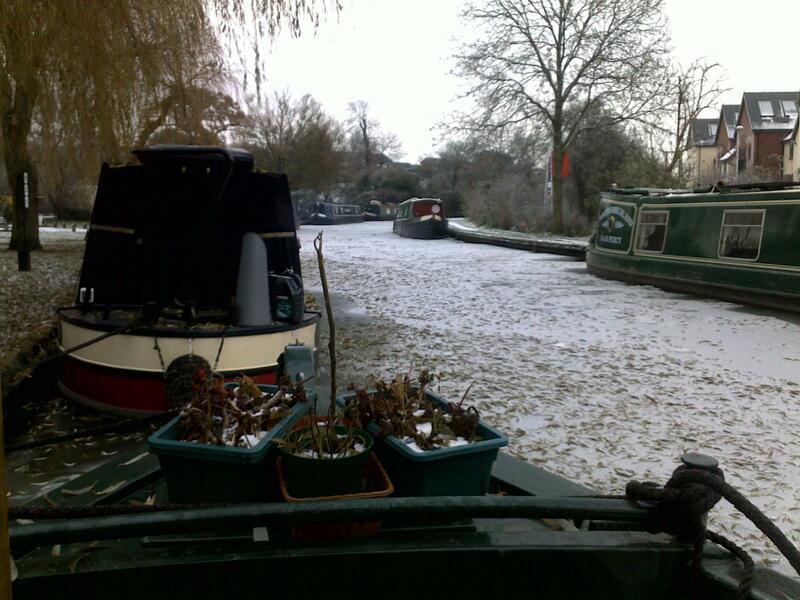 The canals have few boats moving, most are safe and snug in their marinas. We were drifting more than cruising, travelling slowly long enough to charge the batteries and generate hot water (and run the washing machine if the boss says so) . When that is done we stop at the first pretty place we find. If it's raining, we are not even that energetic. However this way of life came to a halt in Rugby. Judy went off visiting for a week and during that time it froze. 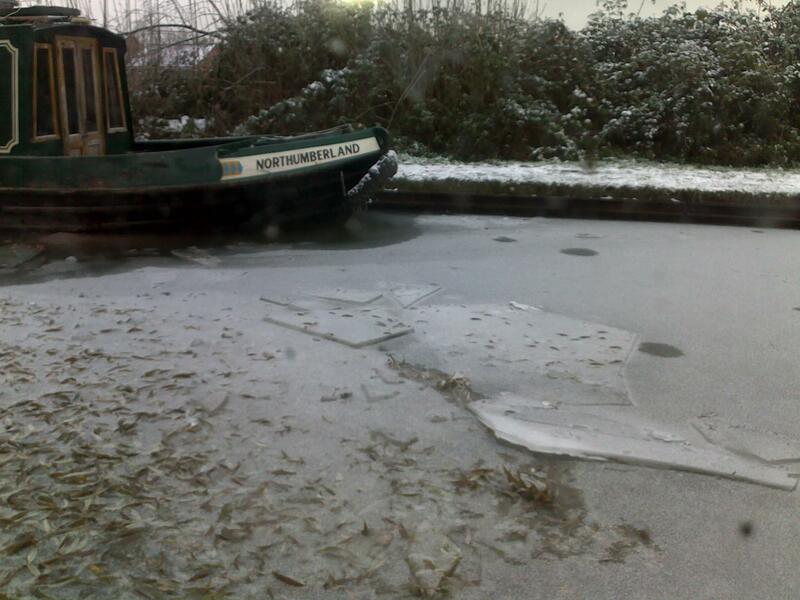 The canal freezing is not unusual, we expect it about 3 times per winter, just not this early in the winter. Firstly there are two different types of being frozen in. Because of the warmth of the boat there is normally some liquid water around the boat, then there is the serious bit when it freezes the boat in solid. With the first (and most usual one) you can break the ice to get the boat out from the side and play icebreaker to get short distances. With the second you are simply stuck. Our tankage (water, diesel, and “black tank”) is normally OK for about 3 weeks and cold spells don't tend to last that long over here, or haven’t so far!. Incidentally cruising through ice is very interesting. Firstly the noise is incredible, from the bow breaking the ice, to the noise of the ice scraping off your paint all along the side, to the noise of the propeller grinding it into mini ice cubes. Steering is pretty much straight line as the hole you have cut with the boat decides which way you go rather than the rudder. Just being static is also great, the ice makes noises when it moves, they are a bit like whale sounds, and you can hear a boat moving from about a quarter of a mile away as the sound carries both underwater and through the ice. However it's supposed to be cruising notes. 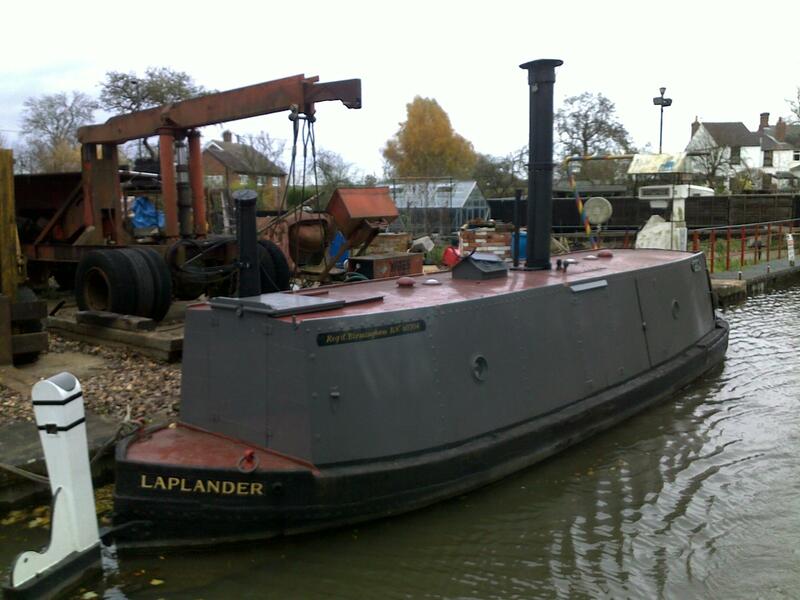 We have been travelling the Oxford canal. 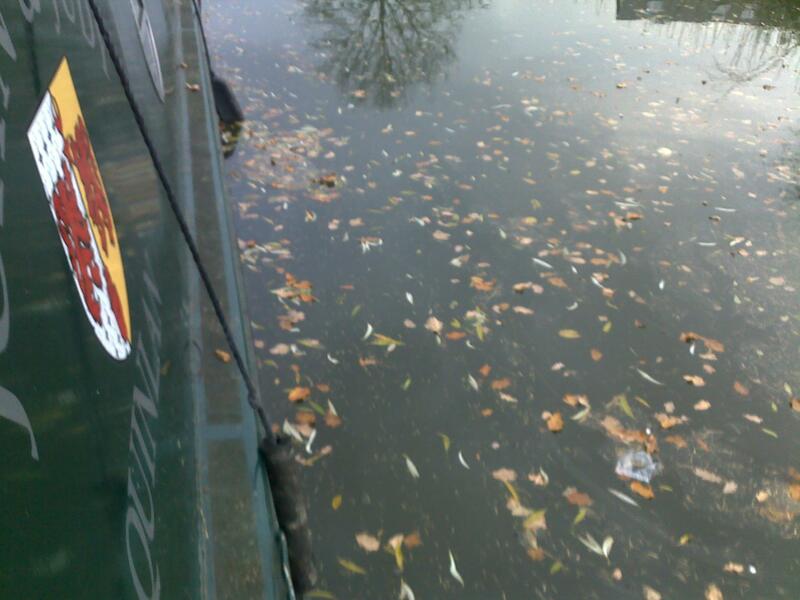 Actually what is normally called the North Oxford canal. For reasons best known to the financial history of the canal system the a chunk of the original Oxford canal became part of the Grand Union canal, so we now have two “Oxford” canals. It gets confusing so boaters just call them North and South. This split goes back a long way, and these days the two canals are now vastly different in character. This is mostly due to straightening large sections of the North Oxford. This implied new bridges and various other changes. 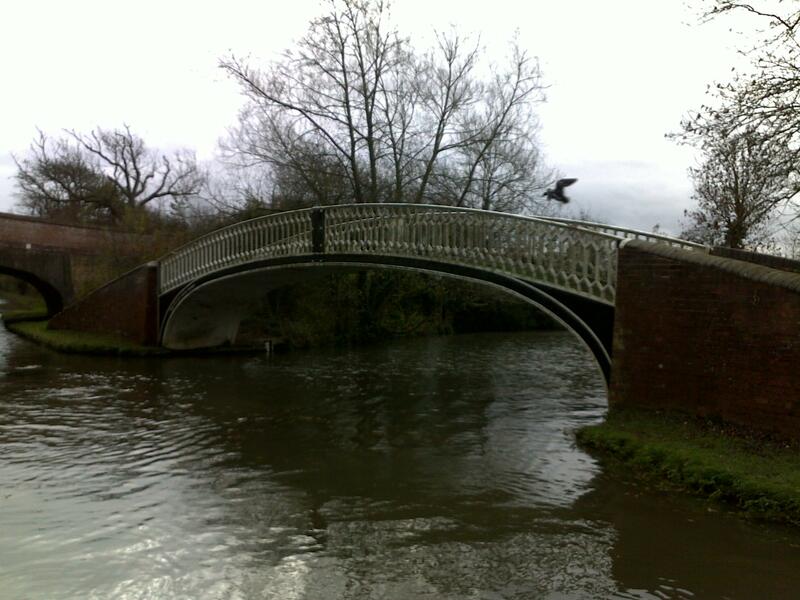 Typical cast iron “North Oxford” bridges, I think they are rather elegant. 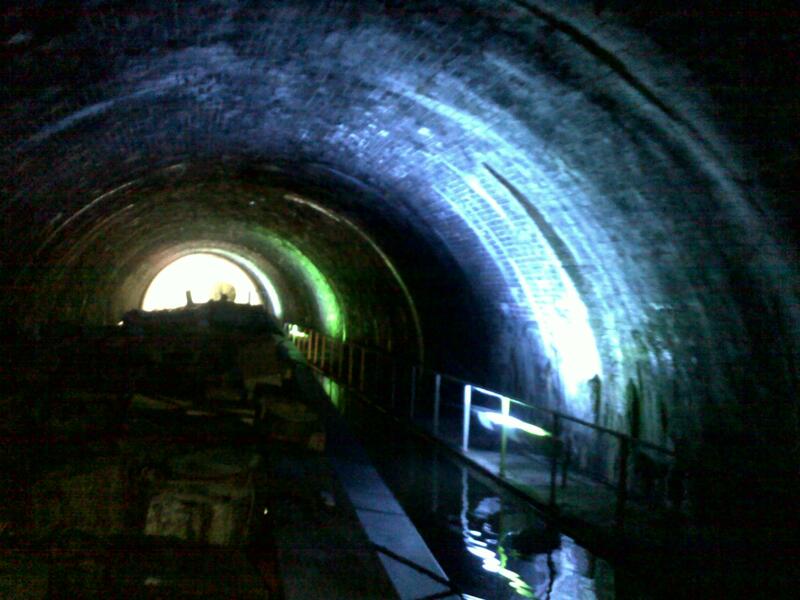 However the North Oxford does have one of the very, very few lit tunnels on the canal system. They did a good job and even installed multi coloured lights to make it look pretty. The reason is that there is also a path through it and I suppose it was a bit much to ask every pedestrian passing through to have a tunnel light (and possibly navigation lights) in order to get to the other end. In canal terms it's very short as tunnels go but the drunks leaving the Barley Mow pub probably need all the help they can get. It isn't very often I get to see the inside of a tunnel, normally I just peer into the distance to avoid the clanging noises of boat hitting tunnel side. 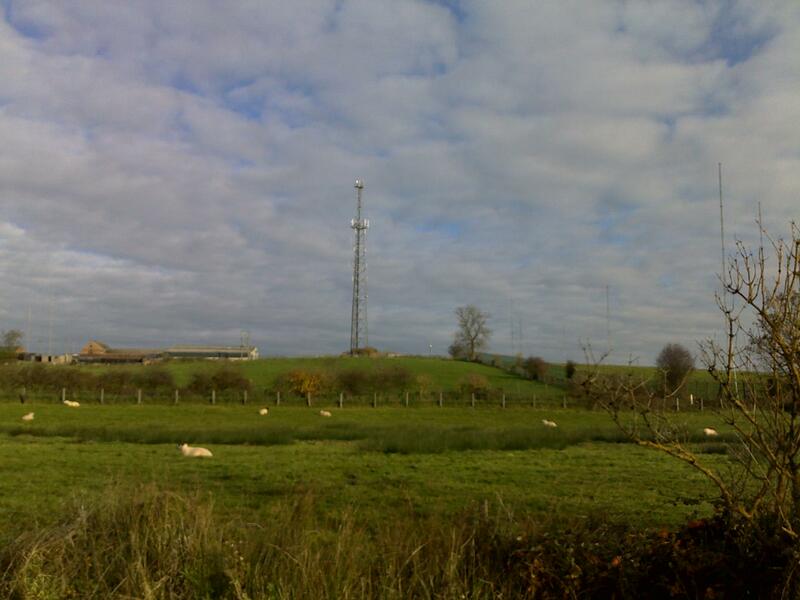 Now don't quote me on this (or anything else for that matter) but at Hillmorton (near Rugby) there are a lot of antennae masts. Actually an awful lot of masts even though some have been demolished. This one below may have been the mast that transmitted time signals in the UK, the sort that some clocks react to to ensure the all tell the same time. If you look closely, you can see several other masts that the camera has hardly picked up. Now the boat in the picture below is probably a Steamboat, either that or it's owner has very little intention of getting cold this winter. In any event it is a little unconventional. It's a short cruising notes this time but it's been a short cruise. 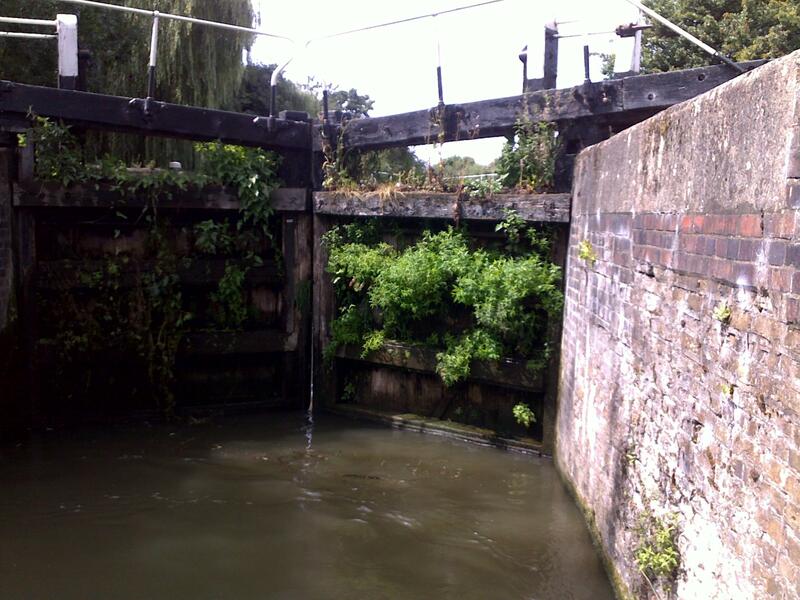 I leave you with a summer picture: a set of lock gates in full bloom. 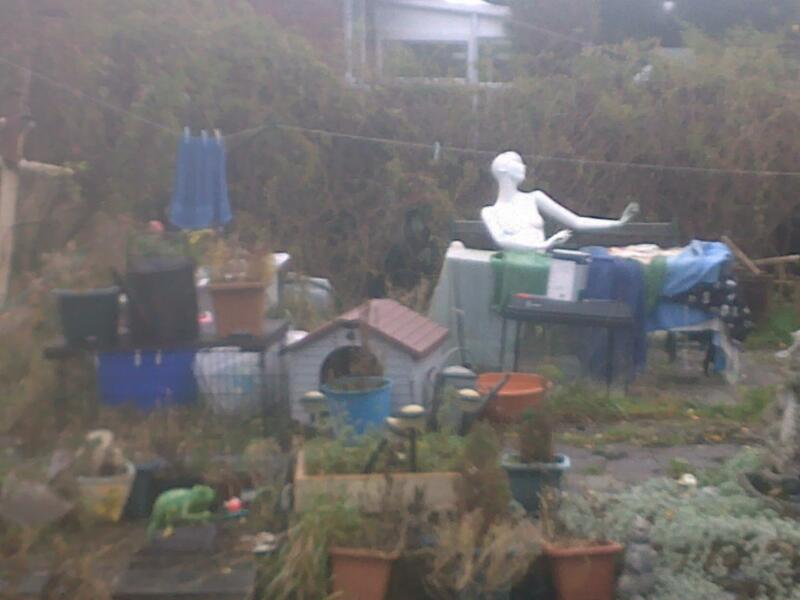 More when we can move again, or Christmas. Whichever comes first.